The title comes from a letter written by Cyriaco of Ancona. 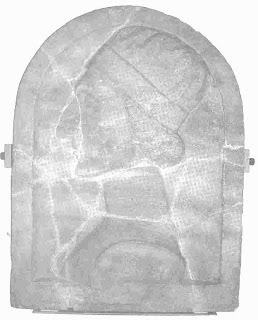 I have been asked to speak on Cyriaco at the Archaeological Institute of America which is meeting this weekend in San Antonio, and it will also be the title of my talk. 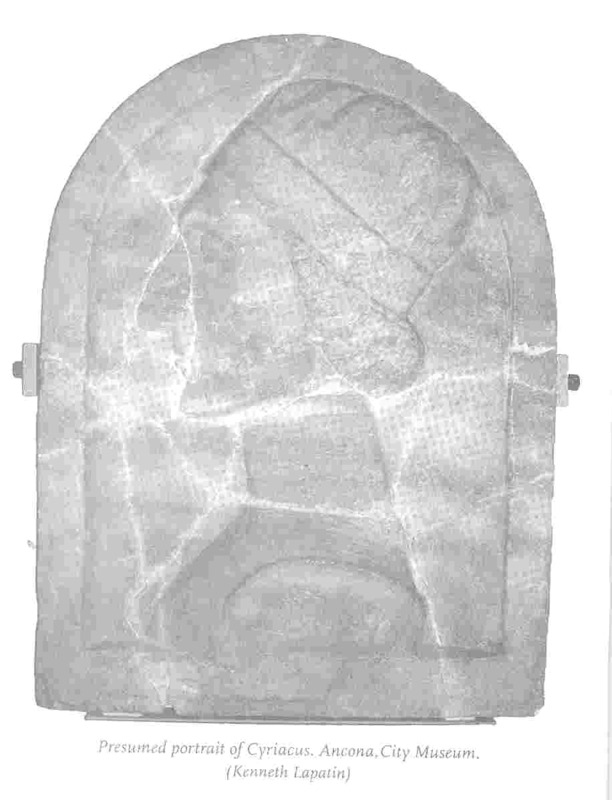 One of the things I will do in the talk is present a portrait of Cyriaco that seems to have gone unnoticed in contemporary scholarship. While I have read of many identifications made of people in the Gozzoli frescos of the Procession of the Magi (Plethon, Theodore of Gaza, Sigismundo Malatesta, Patriarch Joseph, Cosimo de Medici, the young Lorenzo, Filarete, John VIII Palaiologos, and others), I have never seen anyone identified as Cyriaco. He may have been identified somewhere, but I have been unable to find such a statement, either in Cyriaco material or in Gozzoli material. But Cyriaco has to be in the painting. Given his familiarity with John VIII and Plethon, his acquaintance with nearly every humanist and merchant in Italy, and his known presence in Florence in 1439 during the council, he has to have been included. He is. 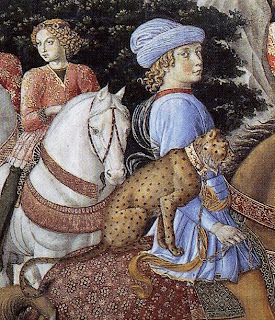 You can find him in the panel of the Old King, to the far right of the golden-haired boy with the cheetah, and just to the right of Gozzoli himself. Gozzoli was, during the year of the conference, painting frescos with Fra Angelico at the Domenican convent of S. Marco, which was where many members of the Greek delegation were staying in Florence. Cyriaco had met quite a few of them at Mistra, and more in Constantinople. It is not difficult to think of him coming around to talk about classical remains and mutual friends. I am profoundly pleased with this identification -- this is the special thing I am telling you -- and it doubles the number of known portraits of Cyriaco. O magnam vim artis nostrae, ac penitus divinam! O great and utterly divine power of our art! they live happily among living men by the restoration of time. * This relief carving was identified as a portrait of Cyriaco by Gablriele Baldelli in "Su due pretesi ritratti anconetani," Cyriaco d'Ancona e la cultura antiquaria dell'Umanesimo: Atti del convegno internazionale di studio, Ancona 6-9 febbraio 1992. Ed. Gianfranco Paci & Sergio Sconocchia. 1998. ** Cyriaco has "Orcus" as a personification of the underworld. I can't bear it. Thanks to Michael Pettinger for helping with the translation. Larger images of the portraits here. You have just put colour on Cyriaco's cheeks. I guess it drags him well away from half-living. 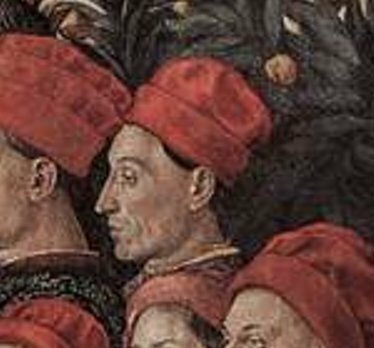 And you have shown Gozzoli's little/big kindness with his nose - with a little help the artist's work lives longer than the plastic surgeon's. Well done! A very nice conceit! I will use it in the speech.